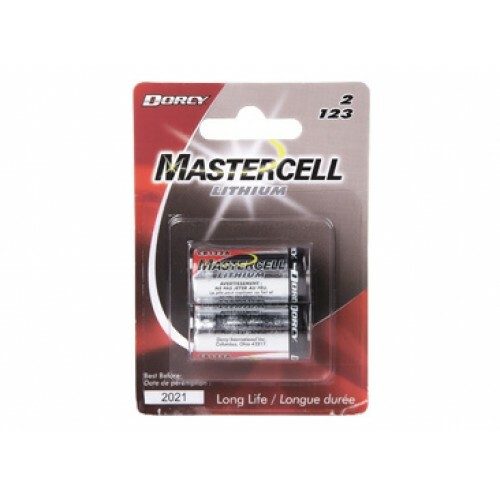 Dorcy CR123 batteries provide superior capacity and performance. Dorcy CR123 lithium batteries provide reliable power to your high drain devices. These batteries hold power for up to eight years when not in use and excel in extreme temperatures ranging from -22°F-140°F. This sophisticated cell features a specialized Lithium Manganese Dioxide chemistry (LiMn2O4) that provides superior capacity and performance compared to alkaline batteries.